Il Volo is on the move again, this time to Bologna! They are doing a photo shoot and they were also at Audi Zentrum Bologna to retrieve their tour cars. By the looks of the writing on the side of the cars, Audi Zentrum is the official Il Volo car for the Italian/European Notte Magica Tour. Enjoy! Gianluca on the way to Bologna. Lucky Bologna! Bye bye – see you throughout Europe! Getting ready for a photo shoot for a commercial for Giessegi furniture! I wouldn’t mind having these three as my home furnishing accessories. You? 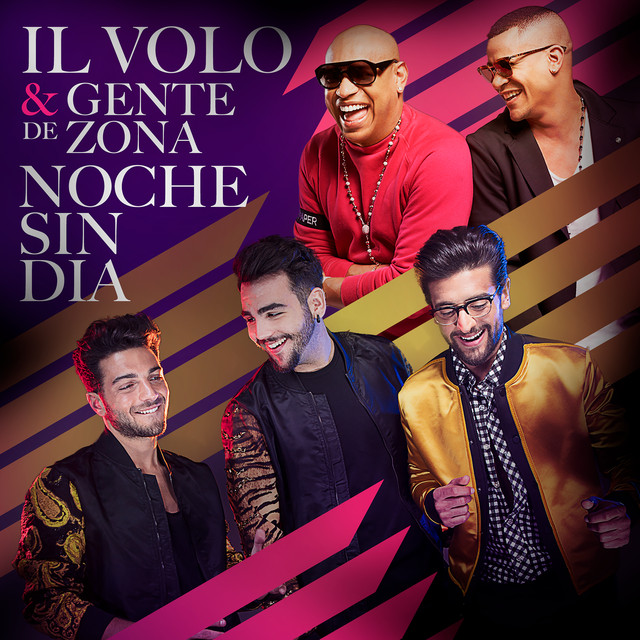 Thank you, Lisa Joy and Il Volo Sicilia, for sharing the following videos. Daniela sent the following rough translations of the videos. This just gives us an idea of what is going on. Please pay attention to what Gianluca is saying at the end of the first video. They will be recording for an important Italian TV show (see below). G = We are live. A beautiful girl has put so many hearts. Here we are, there are many people. T = What do you think of the sultan who has 21 wives? G = The Sultan has 21 wives? He is number one. We have finished a day of filming, will see some good. Piero, Piero, Piero you want to see? (Piero looks and smiles, Gianluca is reading the display). Hello from Hollywood ……. Michael, hello from Malta, Russia, Croatia ….. want to speak in English or Spanish? T = What is this thing? G = we live ……. Romania, Brazil, Honduras, ….. (someone calls to take a group photo) …. Daddy you reprove, rebuke us. E = Gianluca images not. We ‘video, we live, from around the world are watching us, from Venezuela, from Honduras, from Russia, from America, from around the world, you see? From Greece, my brother is in Greece now, how nice …… (looking Ignatius making a photo with a girl), selfies time. You want something to eat? Here again there is something. A banana? An Orange? what do you want? That’s my father, greet him, he is my father, this is Ignazio Boschetto with Catherine’s mother. However, now I have to go, I have to change, otherwise my father gets upset, because we do later, we’re going to Rome, and tomorrow we have the recordings of an important Italian program, do not say anything, you’ll find out very soon …… ..I am changing ….. a moment dads do not get mad, hello ….. there strucchiamo? G = We give a greeting to all the people who are watching us. Here I am, I serve you? operator. = put yourself in that position I make you a close-up while you continue to write and to my way …… are you recording? ….. my way you look at him (Piero) going through skateboarding . = operator but you’re for live? G = is, you can not? operator = why not? 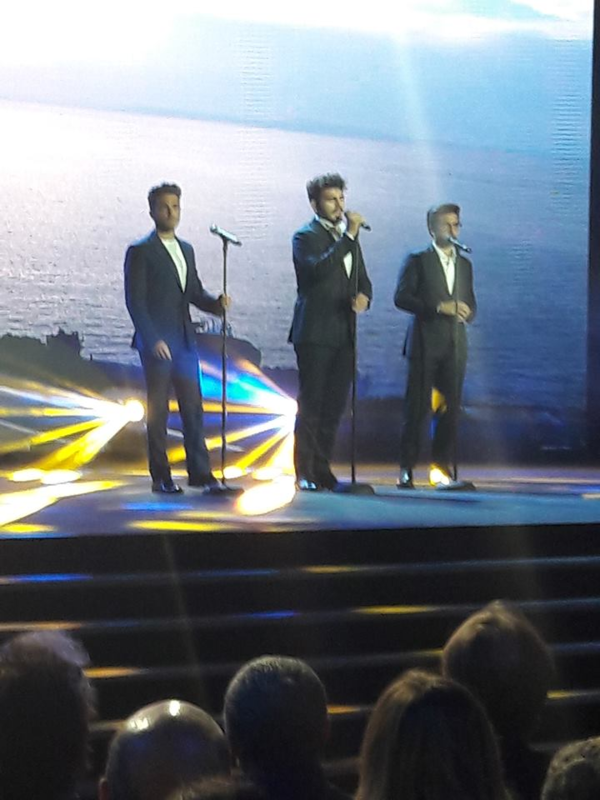 live on IL VOLO. Il Volo will be guests at FRIENDS on Channel 5. These are the articles that talks about it. The episode will be broadcast on Saturday 15th at 21.00. These articles are in Italian of course but they basically say that they are recording today with for show to be aired April 15th on Canale 5. Also appearing is Emma Marrone, James Blunt, and Luis Fonsi.